I am here to introduce the first panel script ever on the market! What is this in exact? 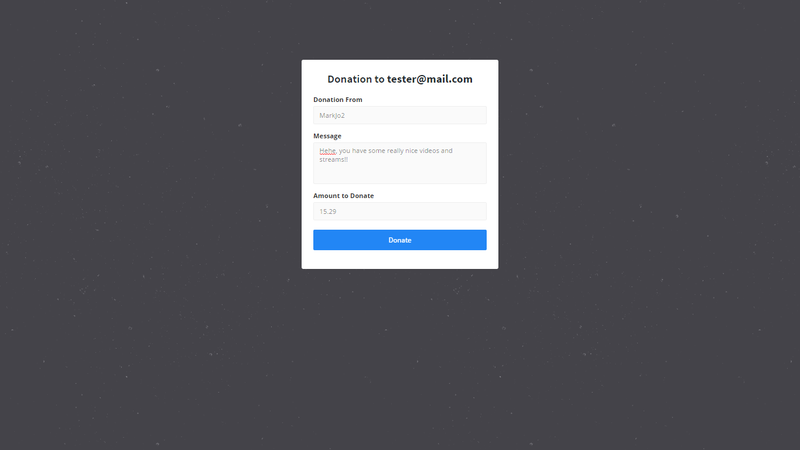 Have you ever seen a websites for donations such as "Donation to Streamers, Donations to Vloggers ect.."? Have you ever wondered how are they getting any profit? From every donation they are getting "X%" of the payment. Start your own business company today and start winning! The payment gateway is automated and you don't have to do anything!Everything is fully autopilot. 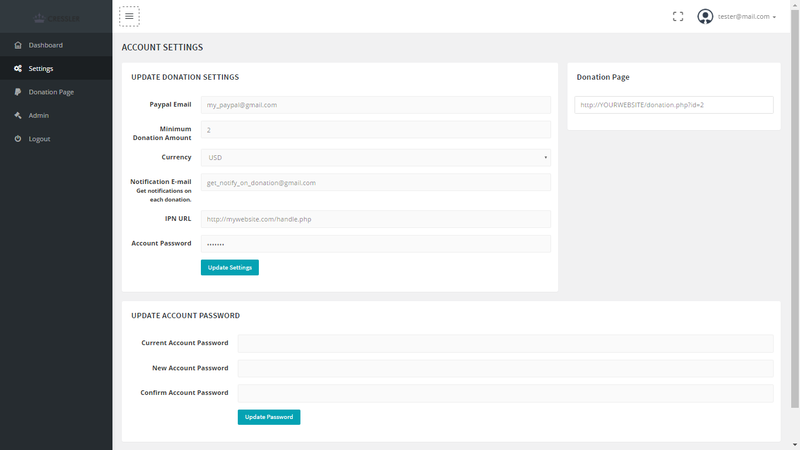 Simple register and login pages. Custom user notification URL (not required). 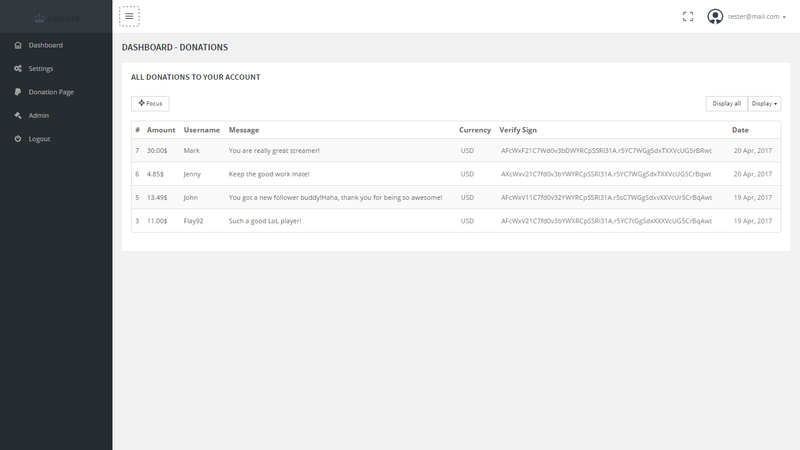 Custom minimum amount of donation set by the user. Keep in track all donations. Daily, monthly and life time statistics about your website donations. Keep in track all your users. Custom page for most active users with most donations.